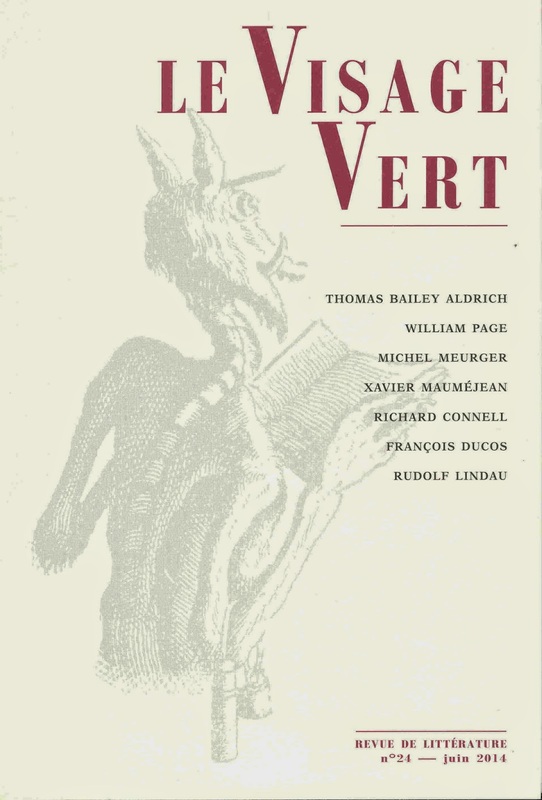 A belated note to call attention to the recent new issue (June 2014) of Le Visage Vert, which showcases two American stories, "Marjorie Daw" by Thomas Bailey Aldrich, and "The Most Dangerous Game" by Richard Connell, and includes an article by Xavier Mauméjean on the latter writer. Other stories in this issue include "The Air Serpent" by William Page and "Le Visionnaire" by Rudolf Lindau (a German diplomat who lived for many years in Paris), the latter story being best known in English as "The Seer" from Blackwood's Magazine (January 1881) and the subsequent Lindau collection, The Philosopher's Pendulum and Other Stories (1883). Michel Meurger discusses William Page's story as an inspiration of Arthur Conan Doyle's "The Horror of the Heights". Another fine issue of Le Visage Vert. Ordering details can be found here (scroll down). THE PRIVATE LIFE OF BOOKS: Six poems by Henry Wessells on reading, memory, books, and the second law of thermodynamics. Photographs by Paul Schütze. Published by Temporay Culture. 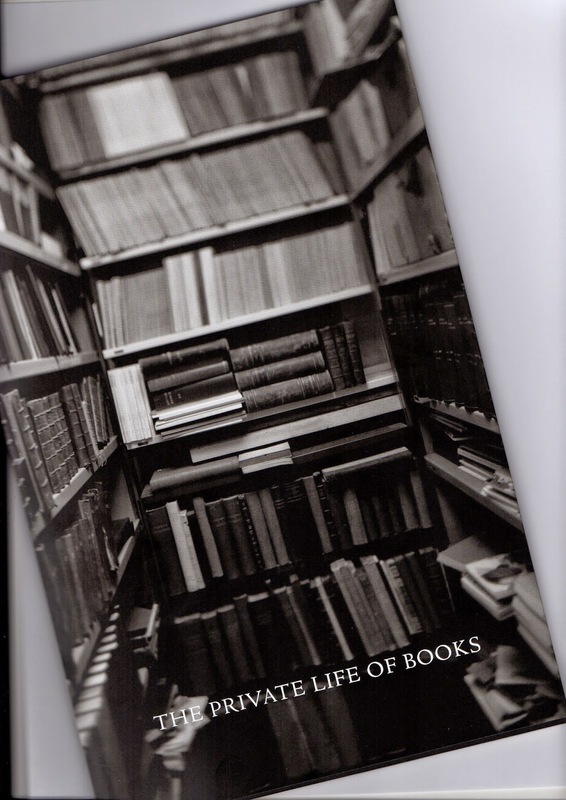 A fine meditation on the nature of books and of book collecting and of much else, and a fastidious example of the book-maker's craft, hand-bound and hand-assembled by a kitchen-table publisher, with delicate care and attention to detail. With eight duotone photographs tipped-in, full of the ancient texture and dimmed light of old books. Text printed on Mohawk Via Vellum Jute. Set in original foundry Centaur types, digitized by the Nonpareil Typefoundry. Design by Jerry Kelly. Hand sewn in heavy card covers, pictorial dust jacket. An edition of 226 copies presently emerging from the bindery. 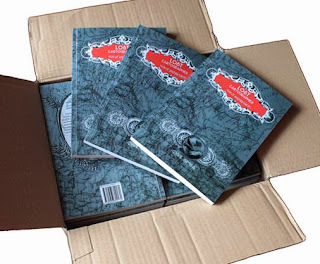 The adventurous Invocations Press of Brighton have announced a new publication, Lost Cartographies: Tales of Another Europe, a collection of curious fiction by Wormwood contributor Cyril Simsa of Prague. "Europe has always been Other, and there have always been other Europes" they remind us, and offer "Six stories, six Europes. All of them teetering on the very edge of the map." 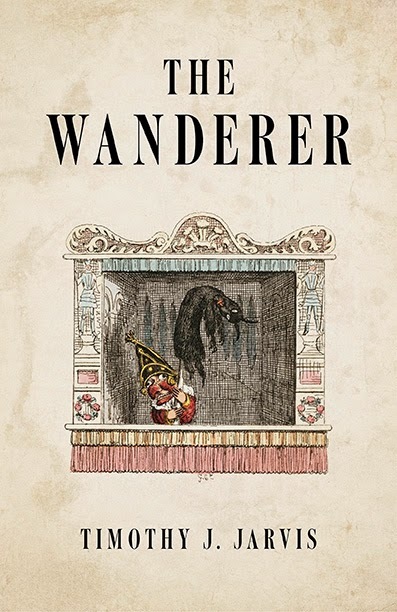 In his introduction, the author explores how the idea of the Other has haunted the European imagination, sometimes located in terrain close by, just across a boundary, sometimes far away, in realms regarded as exotic and truly outland. He tells us: "These are my reports from the far side of our culture's ambivalent European identity. From the weird germ-lines and the mapless demesnes on the left-hand side of the family." 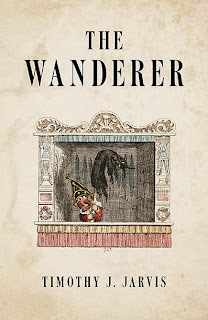 The stories are in the Central European fantastic tradition of Gustav Meyrink and Leo Perutz, where travellers encounter places stranger than the coasts of Bohemia, and ancient spirits adapt themselves to modern shapes.